The Jablocom Raven Smartphone GDP08 with SIM card and Android operating system is a GSM mobile phone with the appearance of a desk phone and the functions of a tablet, which allows you to reduce costs without giving up the benefits of a desk phone. The Jablocom Raven Smartphone GDP08 with SIM card and Android operating system is a GSM mobile phone with the appearance of a desk phone and the functions of a tablet, which allows you to reduce costs without giving up the benefits of a desk phone. It is an ideal device if your home, office or business is in places where the fixed telephone network does not arrive. Take advantage of Android features and Google Play apps to extend the functionality of your Raven Smartphone GDP08. 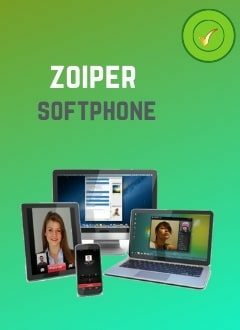 With this phone, you can synchronize your contacts and other important information with your mobile phone. Works with the SIM card of all operators. Includes the Android 4.2.2 operating system. Supports SMS, MMS and EMAIL. Wireless Bluetooth 4.0 mobile technology and wifi. RAM 1GB, 4GB + microSD up to 32GB. Compatible with Dect EHS - DHSG wireless headsets.